Emma is a platform that makes email marketing work for you. With tools to collaborate across departments and locations, Emma helps its customers deliver seamless brand experiences that increase engagement, drive revenue and deepen audience relationships with email. Scientists have made huge strides in unlocking the secrets of the human mind, but what happens when we apply those to marketing? See how top brands are using the latest research to achieve brilliant email results. 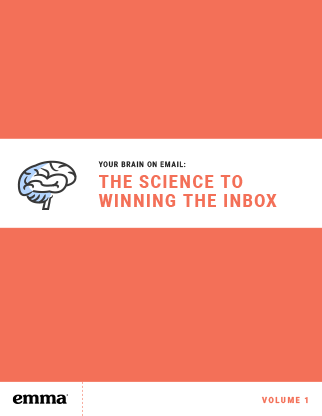 As a marketer, you probably already know the incredibly powerful effects of email. But when it comes to convincing your boss and peers, you may need a little extra reinforcement. 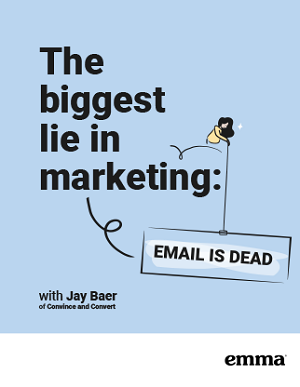 In this guide, we prove that email marketing is here to stay. 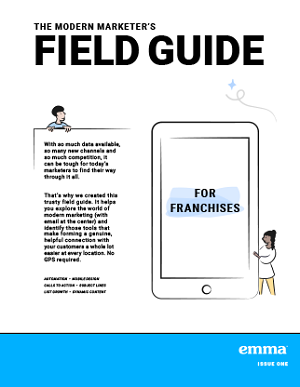 As a franchise, your business faces unique challenges and opportunities when it comes to marketing. In this guide, we’ll cover the best ways to maintain brand consistency, improve marketing strategy, and increase overall success. 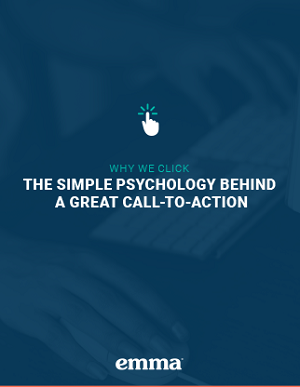 What’s the difference between a click-worthy call-to-action and one that’s ignored? In this guide, we break down the psychology behind the best CTAs and how you can apply it to your own marketing strategy. As an agency, your clients depend on you to help them navigate the overwhelming world of modern marketing. In this guide, you’ll learn how to identify an effective strategy and execute the right marketing tools needed to deliver big results. As a university, you face many opportunities when it comes to recruiting and engaging students and alumni. 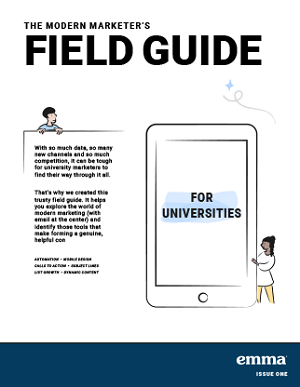 In this guide, we’ll go through the best ways to communicate your institution’s most important announcements, events, and initiatives.